Welp, ladies, the man of your dreams *sarcasm* is officially off of the market! 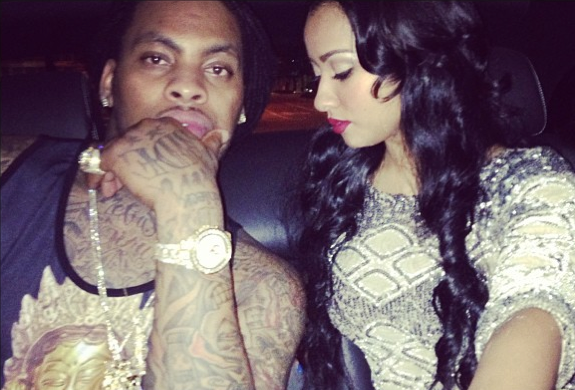 Love & Hip Hop Atlanta's Waka Flocka Flame has allegedly tied the knot and finally married his boo thang Tammy Rivera. The couple have been on and off for years and have recently showed their relationship struggles in front of national television. Waka's mother, Debra Atney, tells RumorFix that Waka "kept his word" and married Tammy on his own terms. Hmmm, by "his own terms" does that mean he wanted to run through every chick below the Mason-Dixon line before he settled down with the one girl he loves? Smh, men! Debra expressed her desire to be in charge with planning the wedding and was a little hurt that her son eloped without her. I'm sure Waka and Tammny will have a ceremony for the reality t.v. cameras to film. What do you think?